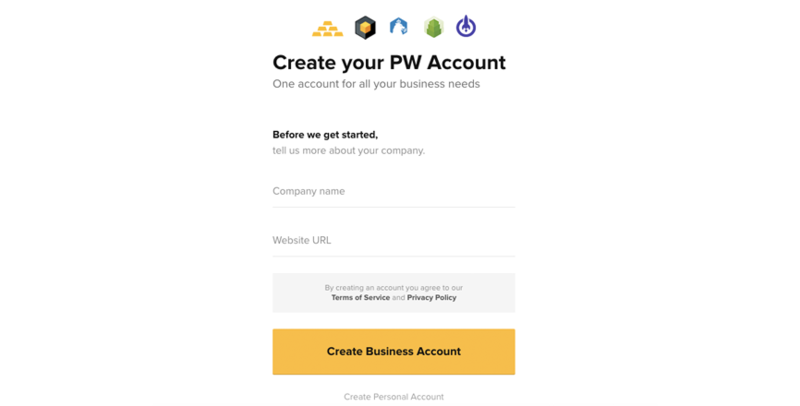 Please enter your Company Name and Website URL. After you login, please go to My Projects tab. You will see your first project already created. Please note the Project Key and Secret Key. You will need them later to finish the project setup. Press the Settings button. 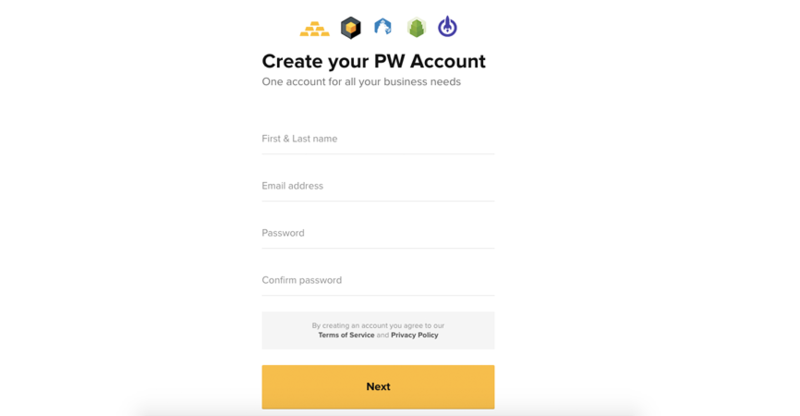 Please select "Digital Goods" (or other API) under "Your API". 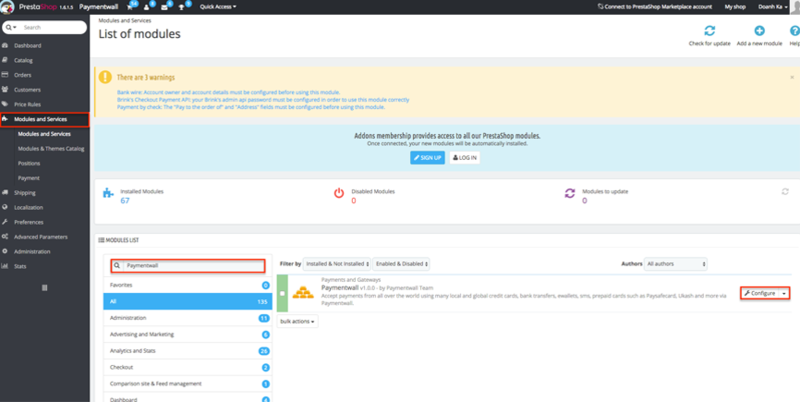 In your Prestashop Admin Panel, please go to Modules and Services and choose Modules and Services. 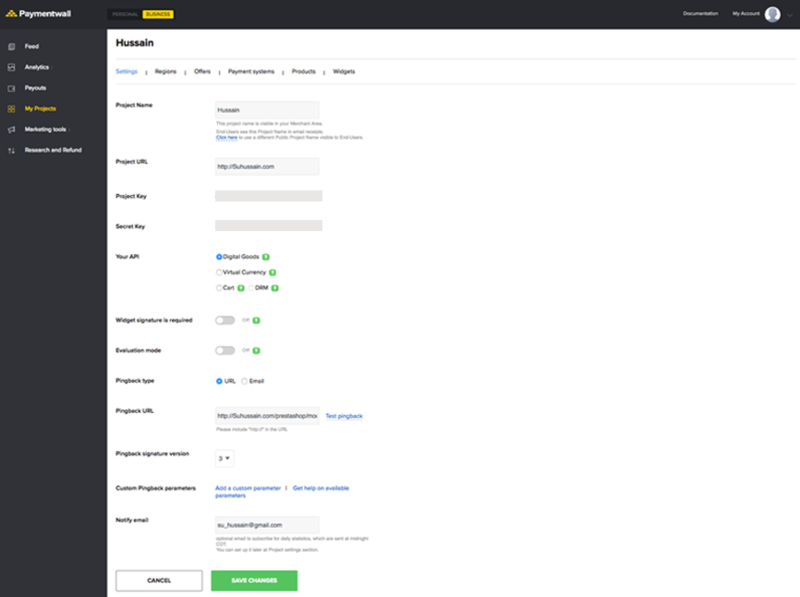 Click the Add a new module button on the top right, and choose to upload paymentwall_for_prestashop_v1.6.0.zip. 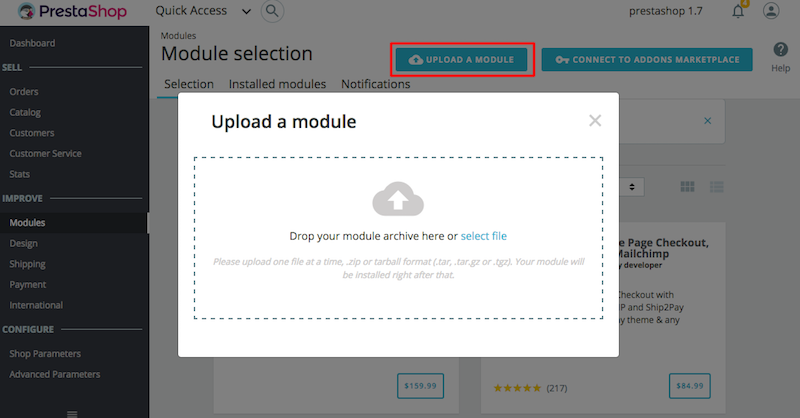 Click the Upload a module button on the top right, and drop the file paymentwall_for_prestashop_v1.7.0.zip into the uploader to start the installation. After the module is installed successfully, click Configure button right below the Module installed! line or under Paymentwall tab in Payment -> Payment methods -> Active Payment section. Fill out all fields, then Save. 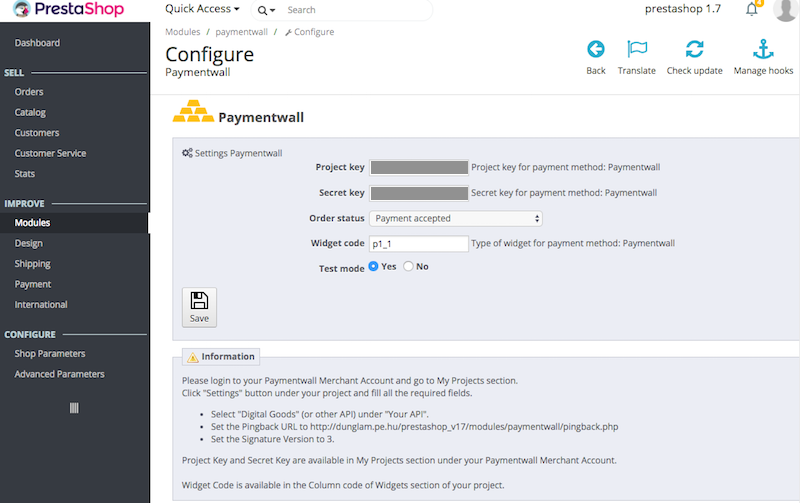 You can find the Project key, Secret key and Widget code in your Paymentwall Merchant Account >> My Projects.